Blood tests produce samples that can be used for a number of different tests, from diagnosing diseases to monitoring cholesterol and blood glucose levels. Blood tests are used for so many different purposes that for medical professionals around the country, phlebotomy is one of the first things learned in introductory courses. The following are the most common types of blood tests performed by hospitals across the nation. 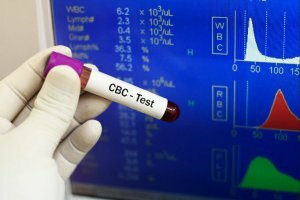 A routine CBC test provides a broad range of diagnostic information, with the ability to detect anemia, infections, immune system disorders, clotting problems and blood cancers. Persons with diabetes need to check blood glucose levels routinely in order to keep blood sugar levels from getting too high. While experts trained through phlebotomy courses can administer blood glucose tests, at-home test kits present a convenient alternative. This test measures the density of red blood cells. The ESR test is used in diagnosing inflammatory conditions, such as arthritis, endocarditis, Crohn’s disease, and polymyalgia rheumatica. A blood cholesterol test is recommended to assess the risk of cardiovascular disease for all persons over 40. A blood cholesterol test is often administered by a nurse practitioner trained in phlebotomy courses, and only requires a pinprick. An ELISA test checks for specific antibodies produced by an infection or allergy, such as HIV or a peanut allergy. When the liver is damaged, it releases specific enzymes into the blood stream, and releases fewer proteins. Liver function tests can diagnose liver conditions such as alcohol liver disease, hepatitis, and cirrhosis. An overactive or under-active thyroid is typically diagnosed via blood tests examining the level of thyroid stimulating hormone (TSH) and thyroid hormones thyroxine and triiodothyronine. Professional athletes nationwide are often tested for high testosterone levels, a telltale sign of steroid abuse. Abnormal levels of testosterone can have adverse effects on fertility, libido and muscle mass.